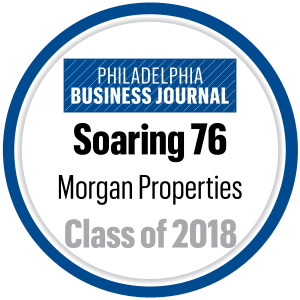 From the moment you come to work at Morgan Properties, you’re part of something big. Right away, you’ll enjoy a support system that will help you grow professionally and personally — because the more you succeed, the more we all do. This is not a job, it’s a career with career enhancement opportunities. You’ll have opportunities to explore new ways of learning as well as the chance to develop leadership skills that boost your career. We equip all of our employees with an expert level of training, so they can better serve and manage our properties, ensuring every resident gets the most out of the Morgan Experience. There are lots of reasons why we’re a leader in property management, but perhaps none is more important than knowing how to attract — and retain — the best people. We build teams, cultivate talent; and develop careers that lead to success for our employees at work and in life. The synergy at Morgan is as amazing as it is contagious. We share each other’s passion for providing residents with a level of service second to none and a comfortable place to call home. Oh yeah, we also have a lot of fun making great things happen. It’s why we do what we do every day, and we wouldn’t have it any other way. We value your success as much as ours. After all, they go hand in hand. It’s one of the many reasons why our employees come to work every day – to do more than just a good job. They come to fulfill a passion for learning, leading, and succeeding. We support them every step of the way with professional development programs, management training, skill-building seminars, and more. Here at Morgan, we’ve created a world that’s all our own. A world that connects the lives of employees and residents to enhance the lifestyle of our communities. That’s something we can all live and work with.